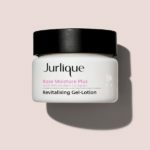 For more than 30 years, Jurlique has evolved what’s possible with pure, natural-based, botanical ingredients, grown in the unspoiled hills of South Australia amidst the rich soil, pure conditions and unique climate. It’s unlike anywhere else on earth. Nurtured and harvested in their most powerful state, Jurlique’s ingredients are carefully combined in unique formulas to deliver exceptional results. SkinCeuticals offers a comprehensive skincare range designed to address the entire spectrum of skin concerns. Their clinically proven line — including cleansers, topical antioxidants, toners, corrective serums and creams, moisturizers, sun protection, and more — features pharmaceutical-grade ingredients that have the scientific proof to back up their claims. Born from decades of skin cancer research, SkinCeuticals’ high potency formulas are concentrated in pure actives and proven to penetrate optimally into skin. See our SkinCeuticals Facial as well. Environ is at the forefront of advanced research in intensive topical vitamin application. Their skin care products have been formulated to combat and relieve the harmful effects of the harsh climatic changes of today’s environment specifically pollution and ever-increasing doses of radiation from the sun due to the thinning of the protective ozone layer. The Environ products offer a definite regime to nourish, protect and maintain healthy, youthful and beautiful skin. Each product is made from the highest quality ingredients. They are mostly free from fragrance, preservatives, colorants and animal extracts. See our Environ Facials as well. A breakthrough line of professional skin care that delivers real results and yet is safe enough even for sensitized skin. NATUROPATHICA is trusted and recommended by professionals in over 350 of the most renowned spas across the USA and Canada. Dedicated to the health and well-being of skin, Naturopathica never uses ingredients that can cause irritation, so your skin can focus on looking younger and feeling healthier. From L-Ascorbic Acid to Peptides and Plant Stem Cells, every ingredient in this line works in harmony with the skin’s natural processes. An advanced line of daily sun care and sun repair products, all of which are a pleasure to wear. Look your best by reducing the appearance of past sun damage while protecting your skin from cancer and melanoma with the most effective doctor-selected ingredients. Formulated without parabens, oxybenzone, gluten, synthetic fragrance, or animal testing. Known as The Skin Care Makeup, the jane iredale line is so safe and beneficial to use that it is recommended by Plastic Surgeons and Dermatologists throughout the world. Jane’s line is a highly-sophisticated blend of minerals and pigments that are micro-pulverized, using proprietary technology and processes to form microscopic flat crystals. These crystals overlap each other on the skin to form a filter that allows the skin to breathe and function normally while still protecting it from air-borne pollutants. The staying power of the minerals is so great that they rarely need a touch-up during the day. And because these silky-feeling powders are water resistant, they won’t crease or smear even during the most strenuous exercise. Our certified professionals will adhere individual lashes to your existing lashes to create the look you desire, from natural to dramatic. No need for mascara for up to six weeks! Click here for pricing.